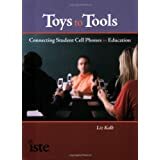 From Toy to Tool: Cell Phones in Learning: New Book! 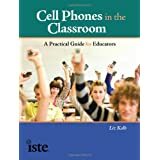 "Cell Phones in the Classroom"
New Book! "Cell Phones in the Classroom"
Finally! My new book is coming out this September called Cell Phones in the Classroom: A Practical Guide for Educators! It is once again being published by ISTE. I am very proud of this book. First it has over 16 different cases of K-12 teachers integrating student's own cell phones into classroom learning. Their stories are inspiring! 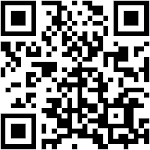 Second, it includes many practical lessons plans to integrate student cell phones (any kind!) into classroom learning. 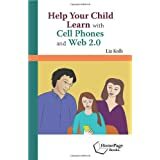 There are over 50 FREE web resources featured that couple with cell phones (any kind, not just Smartphones). In addition, there is a step by step guide on integration including examples of permission forms, AUP changes, and mobile safety. 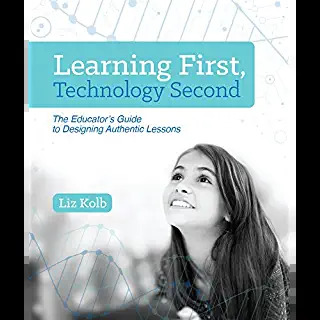 You can pre-order at ISTE or Amazon! I look forward to hearing your feedback on the book! It's on my Amazon wishlist! Looking forward to publication! I'm SO EXCITED to hear about this!!! I was granted permission to test cell phones in the classroom a year ago and your first book "Toys to Tools" was like my bible!! Can't wait! I talked up both Toys to Tools and your upcoming book during my poster session on mobile devices in the classroom. My colleague Karen Bryer and I constrasted our uses of mobile devices (K-5 vs. middle school; school-provided vs. BYOD). It was clear that ISTE attendees are extremely eager to find out more about using mobile devices. I'm looking forward to getting more ideas from your new book also! Thank you all!!! I hope it meets expectations! Lisa---thank you for the promotion at ISTE! Can't wait - looking forward to reading this book! So many good ideas from your first one. Congratulations! I can't wait to read this. Cell phones would be the best teacher I feel! I mean whatsoever doubts you have, can easily learn through mobile phones. You do not have to delay on like the way our teacher does. Thanks for the post indeed! Congratulations! Would you or someone you know consider authoring this book for Higher Ed context? Or is there one already? Thanks for a great book! I have been asked to pilot using cell phones in the classroom for my district and this has given me a ton of ideas and things to try. I'm looking forward to experimenting!! Hoping to add more information/developments to my blog over the coming months....thanks for this. I can't wait to get a hold of this book! You do amazing work and I love your insight. Your strategies you share are practical and applicable to educators of all grade levels and content areas taught with a little modification or tweaking. Thanks for sharing with us and your devotion to helping educators grow professionally! Thank you everyone for your support and the mutual love for mobile learning (especially with BYOT!). Hope you enjoy the book...please review it on Amazon, would love to hear your thoughts. Cell phone must be keeping silent mode because it will disturb the whole class room, and students concentration will be affected by the cell phone usage. Really a very good thing specially for the students in their learning. You are a step ahead of most school boards by suggesting we integrate them into the classrooms instead of banning them. My kids are not quite old enough yet but I'm pretty sure I'll have them on some sort of pay as you go. For sure they will take them to school. I'm reading this book just so I can give detailed reasons why my kids should have their cell phone. So folks, to be honest, is that book good? ?